To the victor go the spoils…and the right to re-decorate. 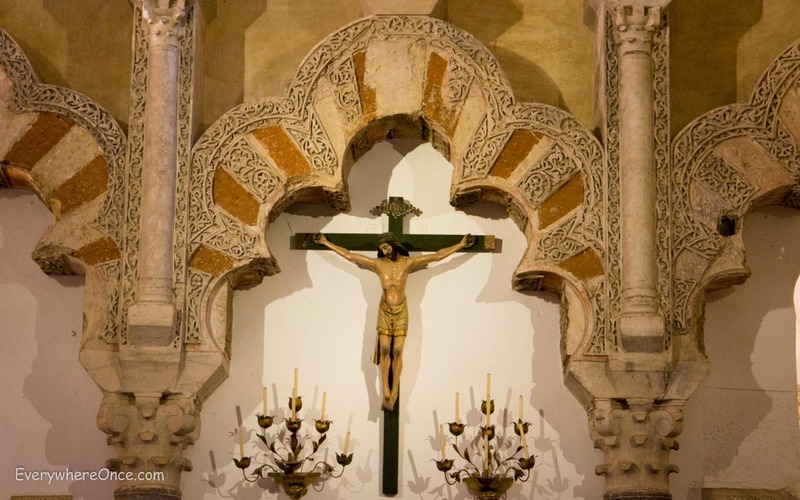 In the site where Cordoba’s Mezquita now stands there was once a Roman temple, then a Visigothic cathedral and then a mosque. Rather than re-do the entire edifice in the 13th century when Christian crusaders took over the town, they left the majority of the mosque intact but made a significant alteration. They constructed a Catholic church in its center. 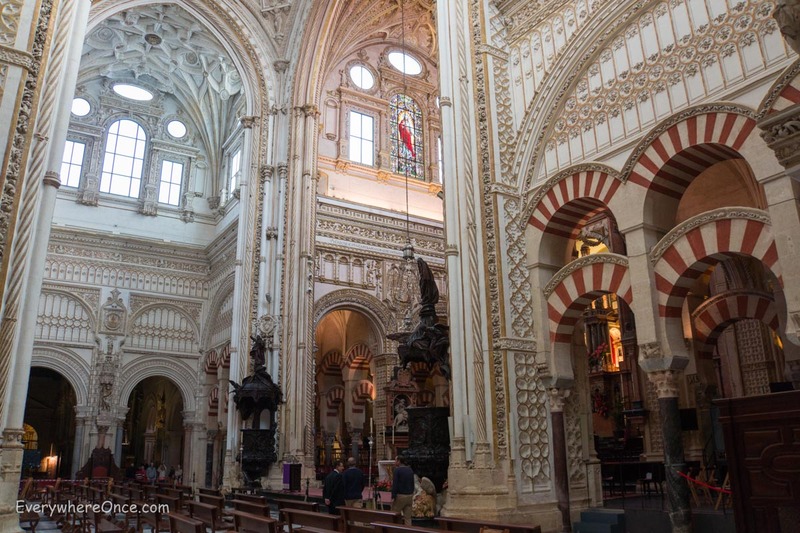 The melding of the distinct architectural styles makes the Mezquita an intriguingly visual place—entirely different from the more than a hundred other religious buildings we’ve seen in our travels. The most striking feature are the red-and-white arches that fan out overhead, row after row, giving the place an almost festive atmosphere. 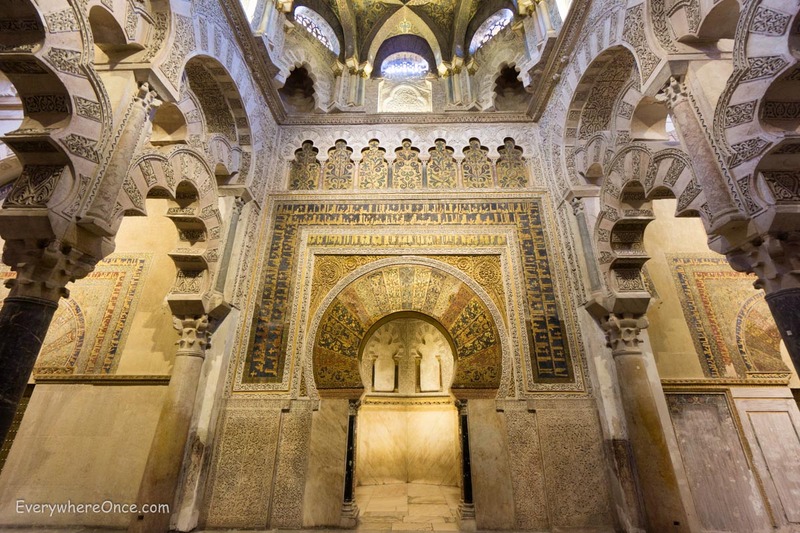 The Islamic ornamentation, heavy on gold mosaic and ornamental tiling, is the more interesting, but it’s hard to miss the showy cathedral in the heart of the Mezquita. Constructed over a 250-year period, the bright, extravagant space features gothic, renaissance, and baroque architecture. 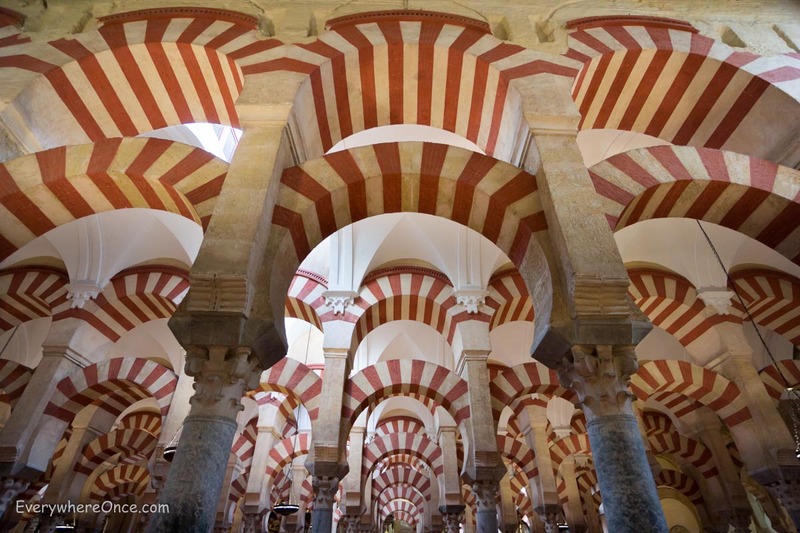 We expected to be impressed by the Mezquita, hardly a surprise since it’s one of the city’s highly touted main draws. 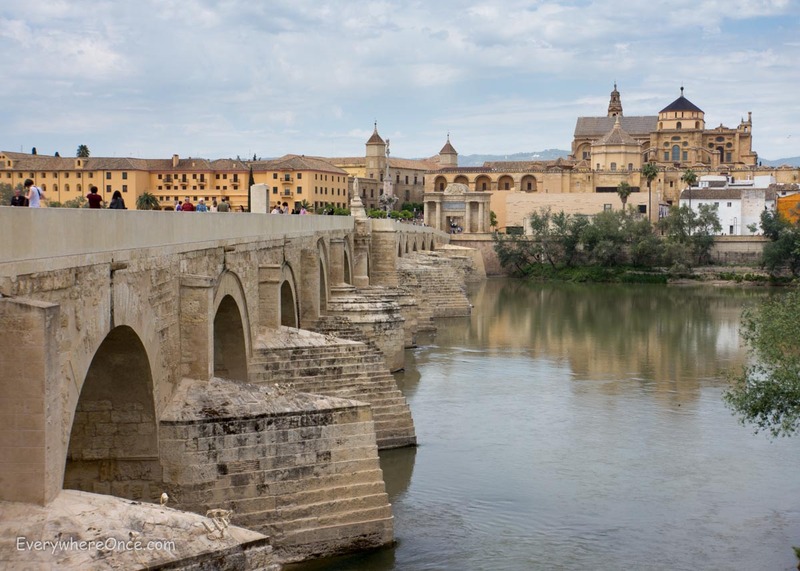 But our other favorite place in Cordoba we found by happy accident. While strolling around, we spied a sandwich board with the magic word “microbrewery” on it. Seeking out craft beers was a favorite pastime during the four years we traveled the U.S., from Pensacola Bay Brewery’s tart, flavorful ESB to the decadent S’more Stout we sampled at Base Camp Brewing in Portland, Oregon. Before we arrived in Spain, I might have said we were beer snobs. Light, yellowish beers weren’t something we drank when there were so many varieties either aged in sherry casks or bursting with hot chili pepper or infused with spruce tips or beckoning us with some other innovation just begging to be tried. 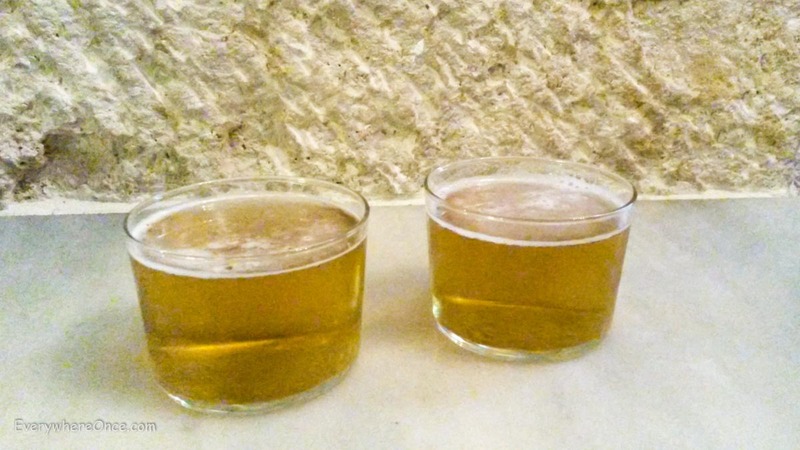 Which makes it all the more surprising how quickly we warmed to the Spanish tradition of the caña, a small glass of draft beer consumed in the afternoon or early evening. You don’t order a beer by brand name but simply request a caña. Many tabernas typically had only one beer on tap, and without fail they were mild pilsners, served very cold and usually with a complimentary tapa. Given how taken we were with the tasty tradition, we almost completely forgot about the litany of specialty beers that litter the States. A typical boringly delicious Spanish caña. 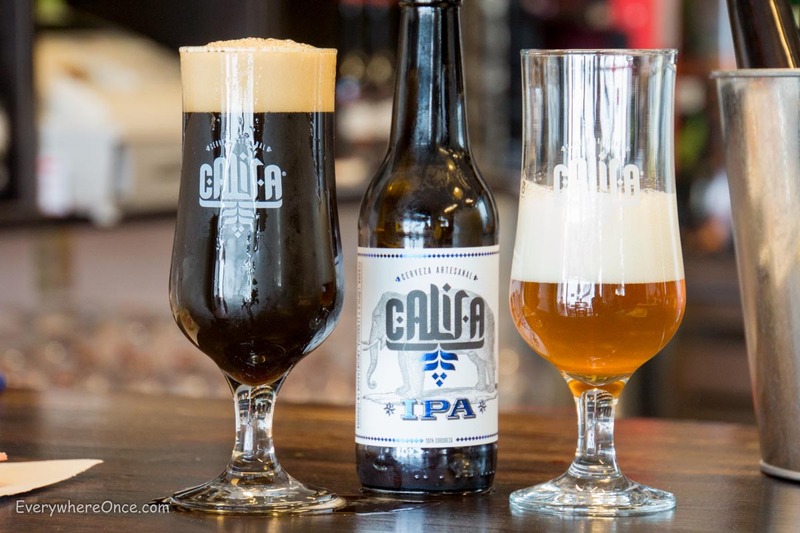 Then, fickle and just as fast, all thoughts of cañas vanished the moment we found Cordoba’s microbrewery, Cervezas Califa. The oversized menu on the wall listing their artisan offerings was written in Spanish, but using standard microbrewery logic, I figured the darkest beer on the menu would be listed last. That’s how I ended up with the Sultana, a chocolate-and-coffee-infused stout, while Brian opted for the needs-no-translation IPA. Some aspects of the afternoon beer-drinking tradition were familiar. It was served icy cold with a tapa on the side. We just had bigger, more flavorful glasses of the stuff to savor. You are making me want to go to Spain. It’s unbelievably beautiful.